The Reading Room will present a Bloomsday celebration on Thursday, June 16 from 6 until 10 pm, with readings from James Joyce’s Ulysses, music and related visual material. Confession: I have never read Ulysses. Question: Should I go and pretend to know something about something? What Karen has lined up for the evening sounds like it would be fun and interesting, but I’m terribly afraid of saying something stupid. I wonder if Half Price Books will have an old collection of Cliff Notes. Woohoo! I just found an online version of Cliffs Notes. If you’re like me, study up here before attending and also go here for an NPR article by Frank Delaney. Agenda: Festivities will begin at 6 pm with a screening of Harrell Fletcher’s Blot Out the Sun in which a very condensed version of major themes of Ulysses is staged in a service station. Readings by Jeff Whittington of KERA, Charles Dee Mitchell, and Diane Orr will follow. And to conclude the evening, there will be a bit of Irish music. 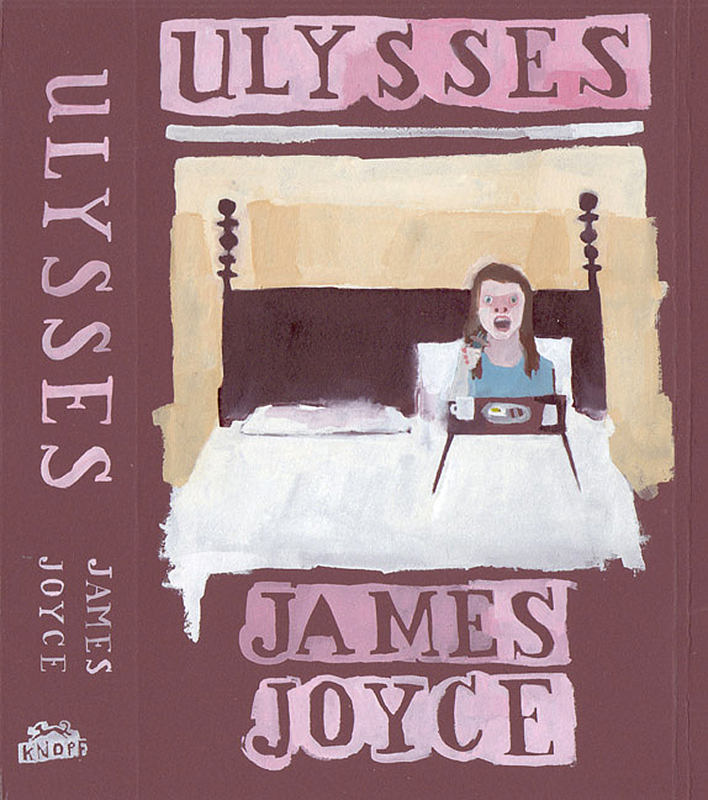 Thanks to Conduit Gallery, Jennie Otttinger’s book portrait Ulysses will be on view. It is part of her larger library project which was recently shown at the Volta Art Fair (NYC). Ottinger received her MFA from Mills College in Oakland and lives and works in San Francisco. The Reading Room is a project space dedicated to the intersection of visual and literary culture and is located at 3715 Parry Avenue. For further information: Karen Weiner, www.thereadingroom-dallas.blogspot.com.